A simple online search and a quick scroll of Wikipedia can give anyone a good idea of what the core language(s) of any markets are. In most cases it can be assumed that the main official language(s) would be the key driver of performance for any search campaign. However, there are certain complexities that marketers should take into consideration when planning for multilingual campaign expansions. A language with a large number of native speakers will not necessarily translate into high impressions or traffic volume. There can be a variety of factors that influence the amount of times your ad is triggered by a keyword, and even more so how likely somebody is to click it. Arabic, for instance, has well over 200 million native speakers. However, the challenge is that each country with Arabic as an official language uses its own dialect. That specific dialect is the mother tongue of those native speakers. Modern Standard Arabic which is taught at school, found in written media, and is heard in the news, or other more formal settings, can differ immensely in structure, syntax and terminology from those dialects. This often means that official Standard Arabic keywords may have surprisingly low volumes due to dialect variations, or sometimes the preferred English versions, generating higher search volumes. Keyword research also reveals that search volumes for languages such as Swahili, which has over 100 million speakers, are high in their respective countries. However, the language is not yet open for search advertising and relevant organic results are also limited. Hence while search volumes are high, results are still poor. On the other hand, there are many other languages with fewer speakers such as Icelandic — which has about 360,000 speakers — which marketers can fully utilise in search advertising and generate a decent number of highly relevant search results. Checking which languages are available before investing in ads and keywords is always recommended. 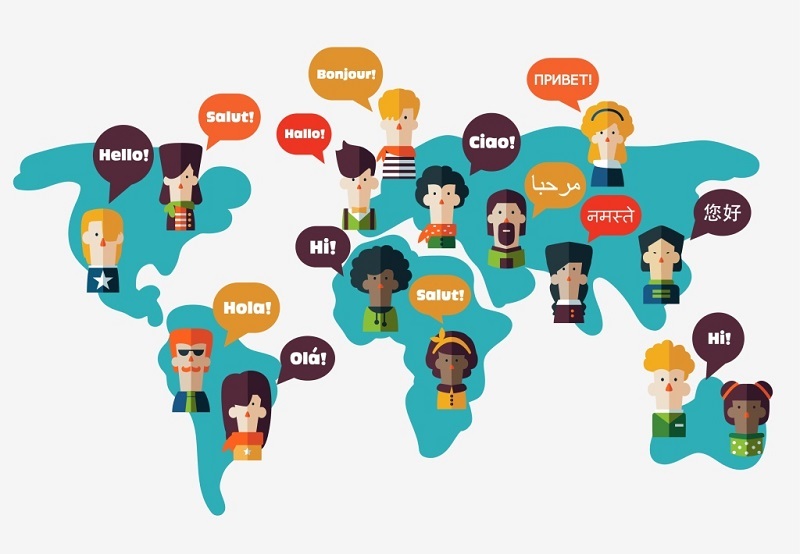 Going for languages which have yet to be recognised will result in disapprovals, regardless of how excellently written and well-researched your ad-copy and keyword lists. Languages with non-Latin alphabets require foreign words to be translated, or in the case of names, transliterated. That is, expressing the sounds of the source language’s characters into the target language’s own alphabet. This often results in many brand names having a variety of spellings. Naturally, you should select the spelling officially assigned by the respective brand, but as research has shown, it is often other versions which result in much higher impressions. A research, test and learn process is imperative in understanding what the full list of variations may be before inserting them into the relevant media channel. Cultural perceptions of ads can also have a huge impact on click volumes. Many central European countries such as Germany may have high numbers of speakers compared to other European markets. However, German users have a much lower propensity to click on ads than, for instance, a British target audience. This is due to a higher scepticism and distrust in any form of advertising, including search ads, which are becoming more difficult to differentiate from organic results. A common misconception in markets where English is an unofficial second language is the assumption that everyone speaks and understands it to a reasonable level of fluency, and thus local languages are not worth the investment. Not so. This is particularly true of Nordic languages such as Danish, Swedish, Norwegian and Finnish. The speakers per each of these languages ranges between 5 to 10 million. Though this is relatively small, the GDP and purchasing power in those markets, especially online, is very strong. Nonetheless, most brands won’t bother localising their website or advertising content for those markets, often believing that due to the smaller numbers of speakers, it isn’t worth the time or money. Recommendations to only localise search ads for instance, while keeping the website in English are ignored due to a fear that bounce rates may be negatively impacted. 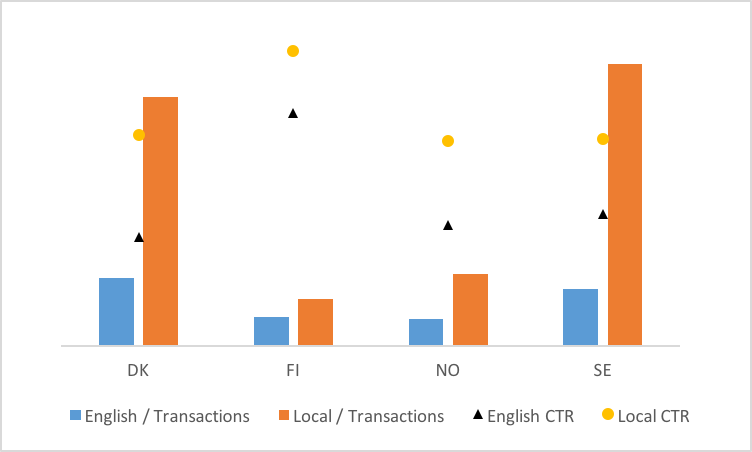 As the graph shows, click-through on localised ads was much higher than on English ads used locally. This could be down to tourists and expats looking for products to get information without intention to buy, hence the low percentage that proceeds to the website. Higher localised traffic reaching an English site has not resulted in fewer conversions. Users are OK to convert on an English website, as they are used to having most of the website from international brands not yet localised for their languages. Two metrics not shown in the graph, namely cost per click and bounce rates, have also proven to be considerably better, with bounce rates up to 10% lower and cost-per-clicks half or less than the English equivalent. 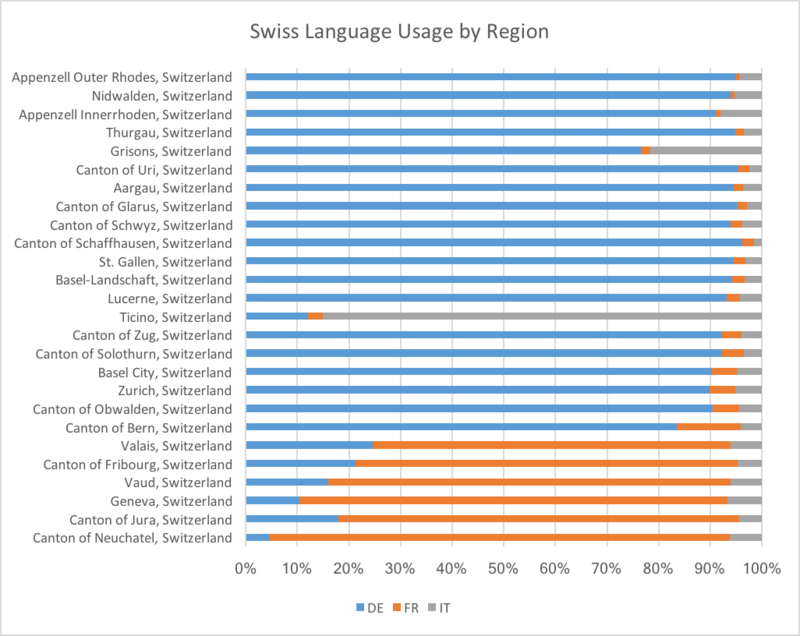 Countries with more than one official language often lead to confusion when having to make a choice on which languages to target and how. Other markets such as Hong Kong pose a much tougher challenge for marketers, as there are no clear geographical borders between language users. Cantonese people tend to mix Traditional Chinese with English, and often use special Cantonese characters not officially used in Traditional Chinese anywhere else but Hong Kong. The same is the case for Gulf countries like the UAE, where locals prefer to use variations of English, dialectical or standard Arabic alternatives — hybrids combining elements of different languages are often also found. 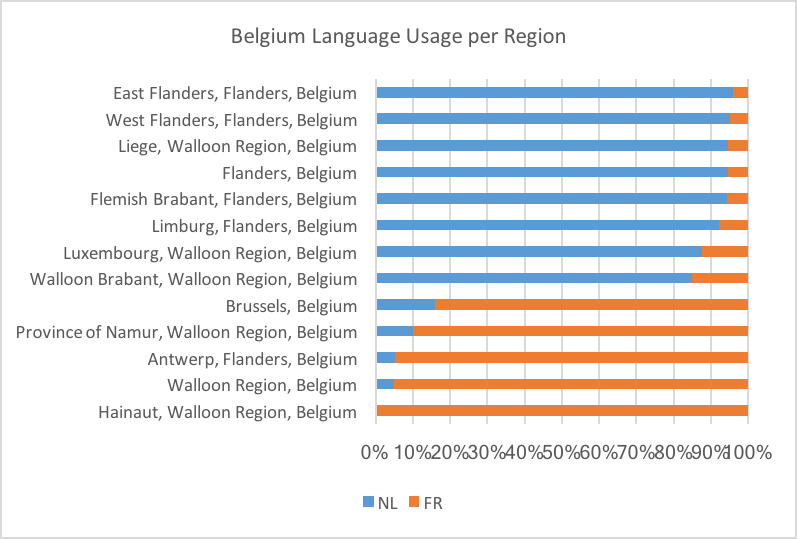 Careful monitoring of your search query reports to understand specific local trends and linguistic peculiarities is the only way to get an objective view of what is important. Finally, don’t forget that countries such as the US, UK and Australia have significant numbers of foreign language speakers, which often warrants building out campaigns in languages other than English. Chinese and Spanish for instance, in the case of the US, may be worth testing in search. Language is constantly evolving and assumptions about language choices are often subjective, temporary, and driven by emotional choices. The key takeaway for marketers is to combine linguistic understanding with data analysis skills. Such skilled content analysts can test continuously, using up-to-date and statistically relevant data when deciding on which content generation methodologies to select. Translation, localisation, trans-creation or origination – understand and use these methodologies wisely. Always remember that what works for one language may differ from another, and even within the same language, varying methods by media channel can also have a hugely positive impact on your performance.